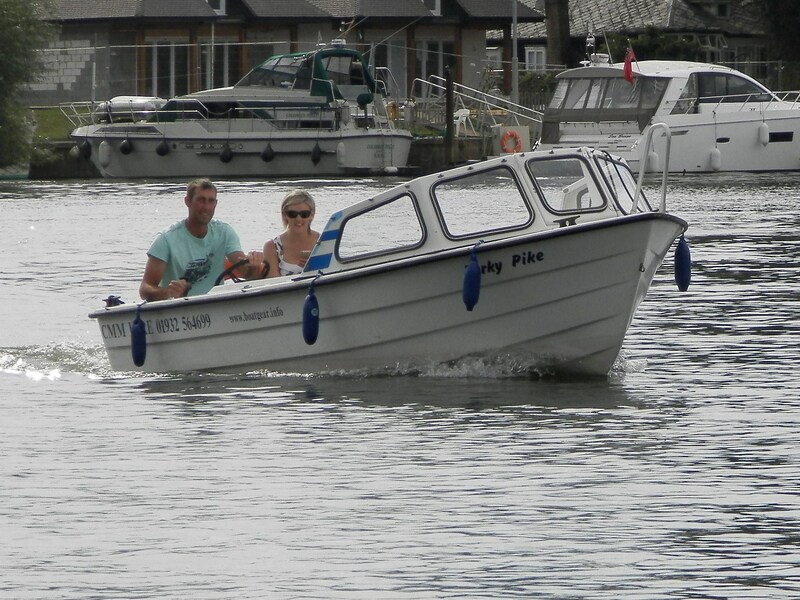 Our budget priced 16 ft open boat, ideal for sunny days and fishing trips. 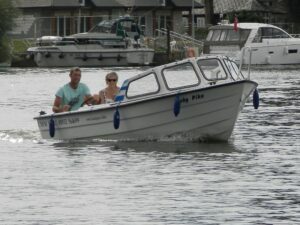 Economically priced it is suitable for 2 – 4 people to enjoy a day out. 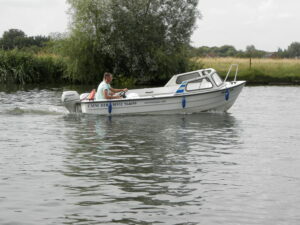 Suitable for fishing and available off season at reduced rates. 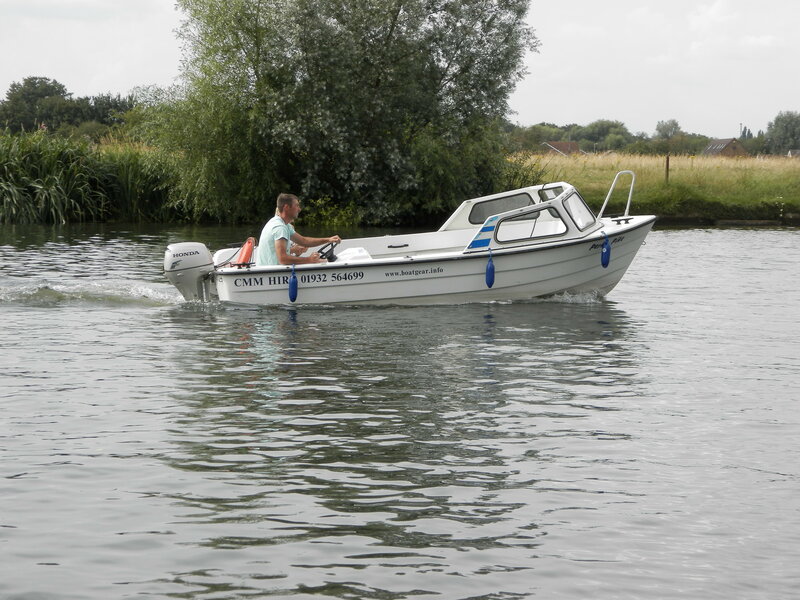 Powered by a reliable, quiet electric start outboard motor with wheel steering. Please note that this boat has a maximum of 4 average sized adults plus a child if small.